The bee - related to the hard-working, persistent ant - goes about doing its life's calling. Diligently, splendidly, beautifully visiting flowers, bushes, trees and plants of all sorts looking for nectar. The food that makes it happy and can create an excellent elixir. 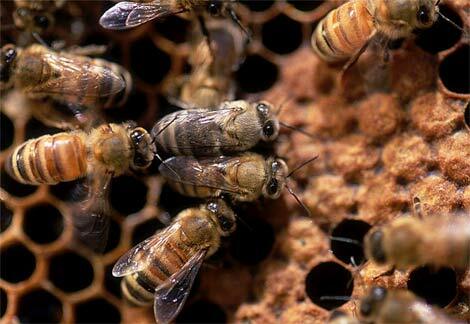 The honey bee returns to the queen bee and combs to generate its delicious delicacy. So it gathers its food and travels to so many places - all the while completely unaware of the difference it makes in the world. 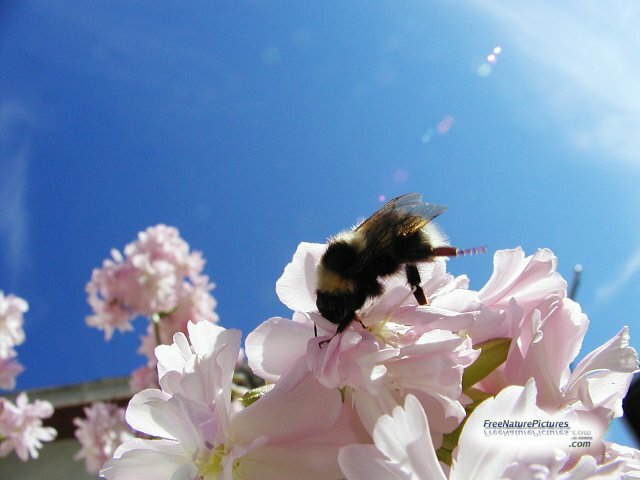 Without the bee pollinating plants everywhere, a task it is quite unaware it is completing, we wouldn't have the splendid foods we do that grow from flowering plants and trees. There is a concern now because, for some reason, there are certain honey bee populations in the US and some parts of Europe disappearing, which affects the entire ecological cycle. OTOH, Africanized bees, which were accidentally released in Brazil by biologist Warwick E. Kerr in 1957, are so aggressive they have been known to attack and even kill anything perceived as a hunter. Despite its ill temper and bullying ways, it still pollinates. Changing the world in positive ways without being aware of it. Do you know there are also sting-less bees? Point is, it's amazing how we can affect and change the world, including everything and everyone around us, when we go about simply being truly ourselves, true to ourselves, doing what we were meant to do --constructively. And how happy people are to sample the honey you create by just doing what you do in the way you were honestly intended to do it. Speaking of affecting the world, the bees are now disappearing out of their hives which concerns our nations bee keepers and scientists. This is an incredible story I heard on NPR for those who are interested in this mystery! Colleen, you should give it a listen. Talk of the Nation, March 9, 2007 · Recently in more than 20 states, beekeepers are opening their hives to find the bees gone. 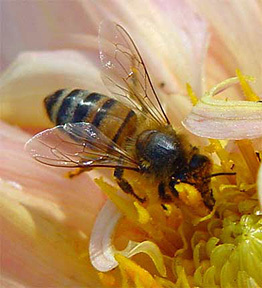 While bee populations in the U.S. have been suffering in recent years from a variety of threats, this sudden disappearance of bees from hives across the country has caught many beekeepers off guard, with no clear explanations."